A Google employee behind an internal memo asserting that women are biologically unfit for certain tech jobs was denounced by the company's top executives. But in right-leaning corners of online media, the reaction to the male software engineer who wrote the memo, a lengthy manifesto on Google's diversity policies, has largely been to defend him. For both traditional conservatives and travelers in the so-called "alt-right," the backlash to the memo has touched upon one of their biggest grievances with liberals and progressives: What they see as an obsession with political correctness and an intolerance for differing views. Some conservative writers responded to the outrage over the memo with a roll of the eyes. National Review's Robert VerBruggen countered the critics and wrote that the memo is "not anti-diversity, and it's not a screed." "It's written calmly and reasonably well, and it makes entirely legitimate points," VerBruggen wrote on Saturday. That point was echoed by the Weekly Standard's Jonathan V. Last, who agreed that the memo was "neither 'anti-diversity,' nor a 'screed.'" "What it is," Last wrote, "is a rational case against the worst excesses of corporate identity politics and—most notably—it's a case made from the left." 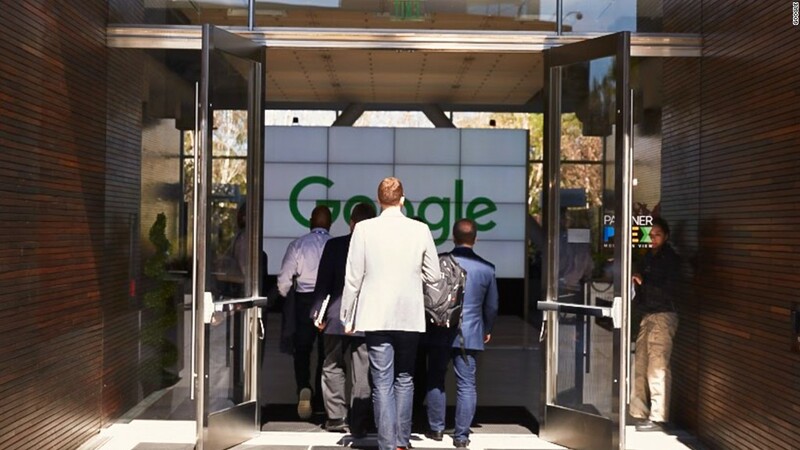 On Tuesday, amid reports that Google had fired the embattled employee, The Federalist encouraged readers to take a look at the "Google diversity memo that everyone is freaking out about." Among segments of the alt-right, the backlash to the memo has been treated as yet more ideological intolerance from "social justice warriors," an epithet wielded by some conservatives to malign liberals and progressives who preach political correctness. On Monday, Breitbart News published an interview with an unnnamed Google employee who complained about "witch hunts" at the company, claiming that "social justice activists coordinated attempts to sabotage other employees' performance reviews for expressing a different opinion." Breitbart has published several stories of the same flavor ever since the memo surfaced over the weekend. The website has promised more interviews with anonymous employees in a series dubbed, "Rebels of Google." The 10-page memo, titled "Google's Ideological Echo Chamber," had been widely read inside the halls of the tech giant for quite some time. It prompted an immediate uproar when it was made public on Saturday. The author of the memo wrote that the company's diversity programs are "highly politicized" and alienate "non-progressives." He also claimed that the gender wage gap is a myth, and that women aren't necessarily denied tech jobs due to bias. "I'm simply stating that the distribution of preferences and abilities of men and women differ in part due to biological causes and that these differences may explain why we don't see equal representation of women in tech and leadership," he wrote. A propensity for high anxiety, the author said, may explain "the lower number of women in high stress jobs." Google CEO Sundar Pichai told employees on Monday that parts of the memo advanced "harmful gender stereotypes," and may have violated the company's Code of Conduct. Should the employee be considering legal options, any such effort could potentially be subsidized by sympathetic individuals on the right. Defenders of the embattled employee have started a fundraising campaign on WeSearchr, a crowdfunding website founded by right-wing provocateur Charles Johnson. The campaign has set a $60,000 goal for the employee's "financial and potentially legal assistance." As of Tuesday morning, more than 60 contributors had given $3,750.